Oct 25, 2016 @ 07:00 AM — by Sharon B. Mateja, D.D.S. Patients who stop by our Rancho Cucamonga dental care center know that they can get answers to questions they have regarding dentistry. We always enjoy educating patients and helping them have smiles that look great and are healthy as well. For major tooth damage, dental crowns are an excellent restorative option. As strong as they are, they may need to be replaced after being damaged. Let's consider the strength of dental crowns and then the causes of dental crown fractures. Dental crowns are quite durable, and able to handle as much wear and tear as your natural teeth in many instances. 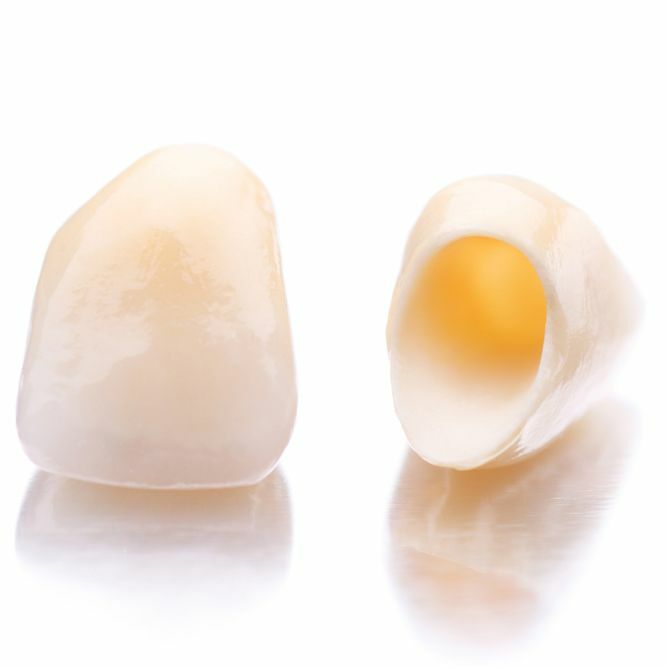 Yet even though dental crowns are sturdy and strong, they can still be damaged in a variety of ways. Think of it this way: a dental crown will allow you to bite and chew without worries, but if you suffer serious trauma to the mouth, there's a chance a crown can break. In general, a dental crown will last about 10 years, sometimes up to 15 years. That's when a person takes good care of the crown, practicing good oral hygiene and making sure to protect their teeth as best as they can. This is the regular lifespan for many types of dental restorations. A major fall or a serious slip can be quite painful, especially if someone lands head or face first. It should be no surprise that these sorts of incidents are one of the most common causes of fractured crowns and tooth injuries. Fights, assaults, and other kinds of scuffles or altercations can lead to various injuries. Among these injuries are tooth and crown fractures, especially if there are any blows to the head or face. Vehicle accidents of all kinds can lead to various kinds of dental injuries. This goes for motor vehicle accidents as well as bike accidents. Be sure to wear seat belts, helmets, and other proper safety gear when warranted. Contact sports and combat sports can be hard-hitting, whether you're practicing, a student athlete, in training, or a professional. Sports like football, rugby, hockey, boxing, and mixed martial arts (MMA) can all lead to various kinds of injuries, dental injuries included. Be sure to wear the proper protective gear and a mouth guard when competing. Teeth grinding occurs when a person is asleep. When their teeth are unable to find a comfortable at-rest position, they will shift, clench, gnash, and move. This friction between the teeth can cause serious injuries and even major fractures. Various dental therapies can help alleviate cases of teeth grinding. As we noted above, your dental crowns are subject to normal wear and tear just like your natural teeth. Over time, the regular biting and chewing you do can lead to a worn down crown that needs to be replaced. To learn more about dental crowns and how they can be repaired or replaced, be sure to contact our advanced dental care center today. We will work with you to improve the health and appearance of your smile.